The soup is light enough to open up your appetite for a bigger meal ahead. At the same time, so much more may be added to the soup to enhance and enrich, making it a wholesome and gratifying meal. The girls have taken a sudden fancy to this soup and so it is the happening thing in our kitchen now. 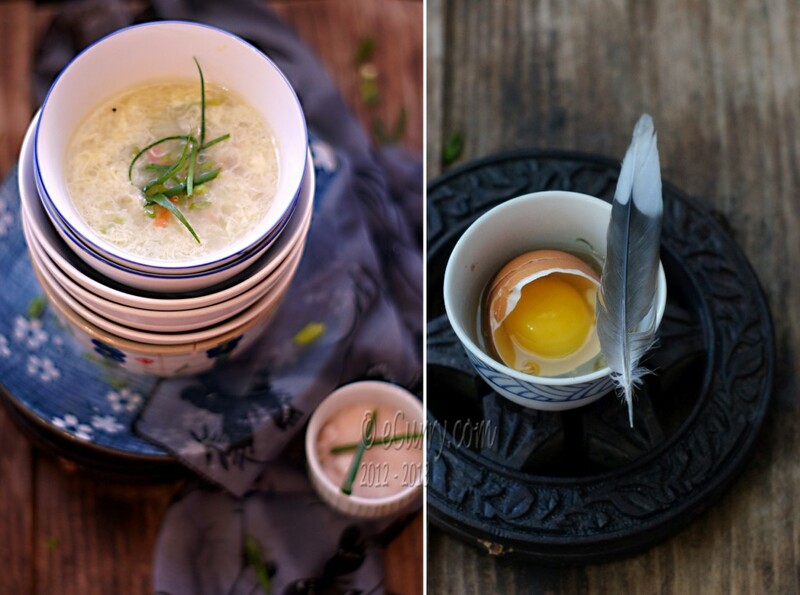 The making of Egg Drop is quite effortless and it requires only a few ingredients. I will make it a quick post today, as quick and easy as the soup itself. It works out really well for all of us. A warm bowl of goodness provides the protein and the vegetables along with the joy and the comfort. Little T loves it the most, especially all the just cooked, still crisp vegetables in the soup and some glass noodles which I add once in a while. It is not necessary, but the vibrant flavor of the Asian sesame oil gives the soup a splash of zesty nuance; a bit different, but lovely. I always use a good drizzle of either sesame oil or hot oil. 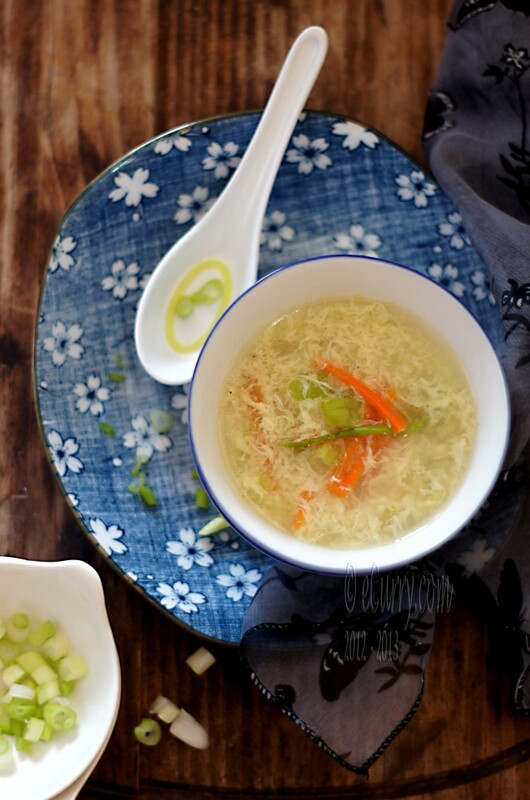 (Read that I have made no claims here that this recipe is for the the authentic Chinese Egg Drop Soup; I have here what we make and love at home and they way it is done in our kitchen). Optional: I have used some vegetables this time – the first 3 in the list. Use all of them, or your own or pick some or use none at all. In a pot/saucepan, combine broth, ginger and vegetables (if you are using) other than the green parts of the scallions. Bring it to a boil. Boil for 2 minutes. Add the white pepper, salt, soy sauce (if using) and the sesame oil/ or hot oil (if using). Combine water and cornstarch until free of lump. Add slowly to the boiling mixture. Cook for about another minute or two. Reduce the heat and let the boil slow down to a light simmer. 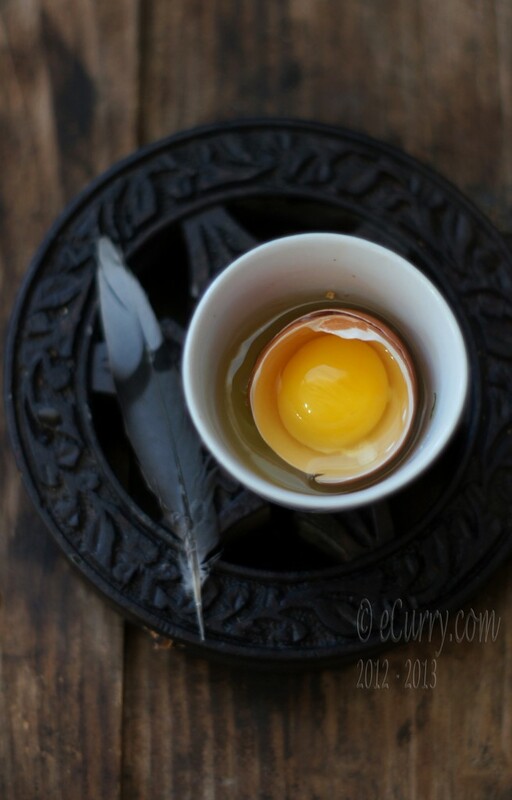 Hold beaten eggs in a bowl several inches (about 8 incehes) above the pot and pour eggs in a very slow and thin stream, into boiling mixture, and at the same time stirring gently but constantly with a fork or a pair of chopsticks in one and only one direction. 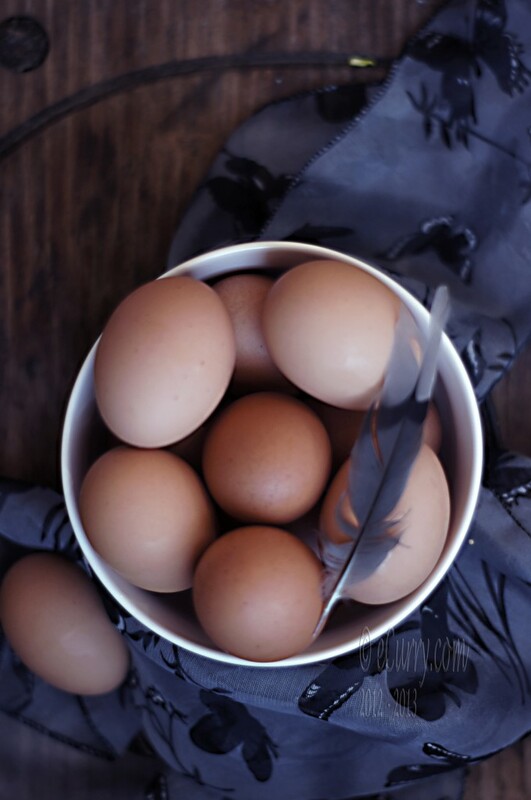 (pouring the egg too fast and too much quantity will have the eggs clump up and no ribbons/strands will be formed, neither will the texture be silky). You will see the eggs form thin ribbons/strands. Immediately remove pan from heat. (Add the prepared glass noodles if you are using them now). Garnish with finely sliced scallions/green onions. Serve hot. ( I would not recommend storing the soup. The flavor and the taste fades away). Comforting, healthy and delicious. What’s not to like about it! 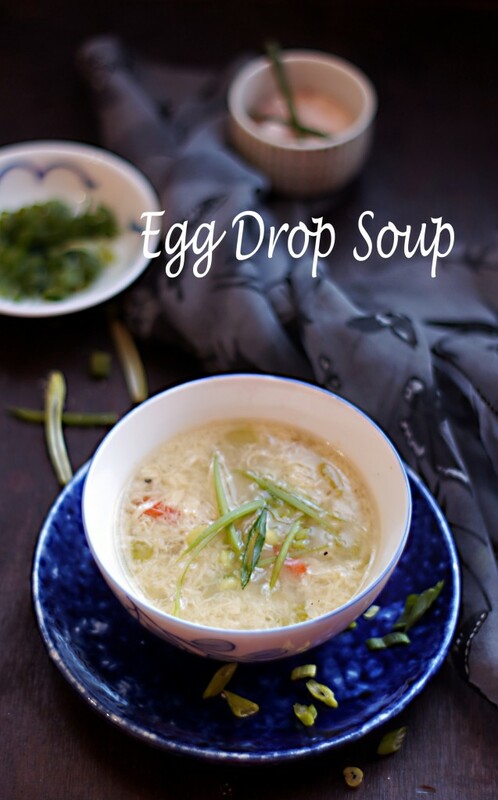 I don’t think I ever tried this soup, but I love egg in any form. So, this soup is going in my wish list! Looks beautiful Soma. Funny but the name made me think of liqorice as that is what drop means in Dutch. So I was half expecting to see a black soup! This looks way better though! Oh, this reminds me of my mom making it for us..haven’t had it in years! It looks so comforting, must try and see if my kiddo will like it. I’m so glad you shared this. I used to love it as a child, but need to make it now as an adult. 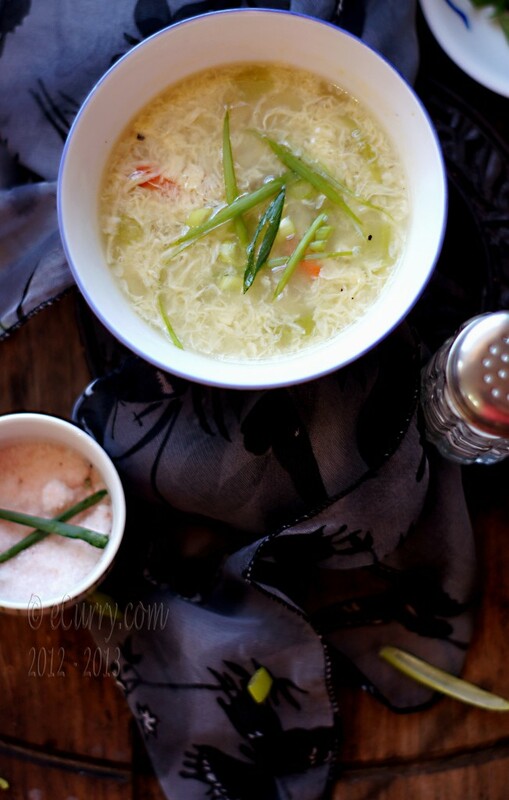 You are right – it is such a comforting, delicious soup! wanna try out this recipe for losing weight. Beautiful pictures, and looks not so difficult to prepare at home, but not my kind of stuff at all for sure all non-vegetarian will like it! !